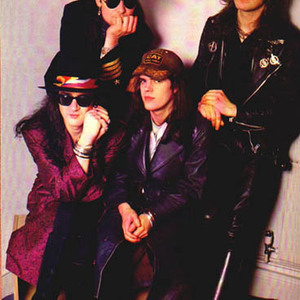 The Mission (briefly known as The Sisterhood in 1986, not to be confused with The Sisterhood, and known as The Mission UK in the United States) were a gothic rock band formed in 1986 from the splinters of the freshly dissolved rock band The Sisters of Mercy. The band was started by frontman Wayne Hussey and bassist Craig Adams (both from the Sisters of Mercy), soon adding drummer Mick Brown (Red Lorry Yellow Lorry) and guitarist Simon Hinkler (Artery and Pulp). Aside from Hussey, the line-up has changed several times during the years. The band was started by frontman Wayne Hussey and bassist Craig Adams (both from the Sisters of Mercy), soon adding drummer Mick Brown (Red Lorry Yellow Lorry) and guitarist Simon Hinkler (Artery and Pulp). Aside from Hussey, the line-up has changed several times during the years. The band's catalogue consists of nine main albums (God's Own Medicine, The First Chapter, Children, Carved in Sand, Masque, Neverland, Blue, Aura and God is a Bullet) with several complementing albums, compilations and other miscellaneous releases also in existence.